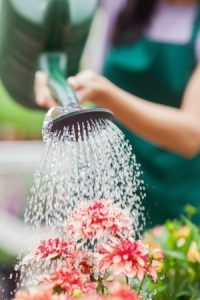 Common Mistakes Every First-Time Gardener Makes | Suburban Lawn Sprinkler Co. Gardening seems rather simple in theory—prepare the soil, plant, water, sunlight, watch your plants grow. Turns out, there are a lot of important elements that go into gardening that are often overlooked. Here are some of the most common gardening mistakes and how to avoid them! It’s common for gardeners to make the mistake of not planning their garden. They sometimes don’t even think about where certain plants can grow and where they can’t. Does the plant need a lot of sun? A lot of shade? Watered frequently? These are just some of the questions you should consider before planting. 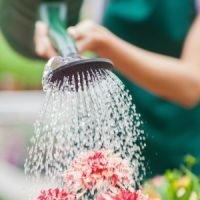 Next time you’re thinking about purchasing plants for your home or garden, make a solid plan of where each plant can grow freely, getting enough sunlight and nutrients to blossom beautifully. When you first plant trees and shrubs, they tend to look properly spaced out. But then all of a sudden, almost in the blink of an eye, they’ve tripled in size and spread, are growing what looks like on top of one another—yikes! So, before planting your shrubbery, allocate enough space to every plant based on their adult size. This will ensure that they’re not competing for nutrients or sunlight as they grow! You can’t just take your hands to the top of a weed and pluck it off, thinking it’s been removed. Many gardeners forget that many weeds have roots that go much deeper into the soil. Remember to dig those weeds out at the root! Did you know there are better times of day to water than others? Now you do! Many first-time gardeners water at the wrong time of day. The last thing you want to do is scorch your plants or drown them. So, consider making yourself a watering schedule! Need help with watering those flower beds and even the lawn? Check out our lawn sprinkler systems – designed for exactly what your lawn and gardens need. Did you consider the condition of the soil before you started digging in and planting? Flipping the soil, perhaps fertilizing the soil, and making sure it has enough moisture are all key! Learn more about soil conditions here! Gardening certainly requires knowledge and skill, and sometimes, you have to learn the hard way through a couple mistakes. So, get familiar with your soil, how the sun hits your gardens, how much water your plants require, and remember to plan before you plant! Contact our team at Suburban Lawn Sprinkler Co. today to find out how we can help!